The AAA-CPA Washington Chapter will hold its annual MCLE/CPE Ethics program Dec. 14 at Ewing and Clark in Seattle from 12-5 p.m. 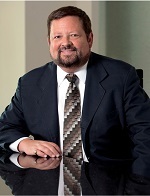 Featured speakers are Joseph L. Brotherton, Attorney, CPA, and James J. Rigos, Attorney, CPA, CMA. Refresh and learn rules from all attorney-CPAs in Washington, especially where there is different treatment. This FREE luncheon program is open to members and nonmembers. Click here to register. Let Ruby Handle Your Calls! 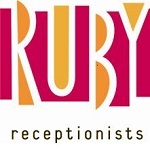 Ruby® Receptionists is the only live virtual receptionist dedicated to creating real, meaningful connections with our English and Spanish-speaking callers at a fraction of the cost of an on-site hire. Our feature-rich mobile app empowers you to manage your account and your caller experience from anywhere: update call-handling instructions on the fly, access messages and call data wherever you go, sync your Ruby service with your smartphone’s calendar, choose your caller ID for outbound calls and much more. Plus, as a member of AAA-CPA, you save 10 percent! Sign up today at www.callruby.com/aaa-cpa. The program will review the most important legislation, regulations, cases and rulings in the federal tax arena during 2018. Leading substantive developments affecting individuals, businesses, retirement plans and estates will be covered. Key procedural changes will also be discussed. Click here for a full list of events.